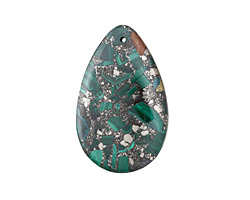 Malachite is a light to dark green banded stone. It was popular with the ancient Egyptians, Greeks, and Romans for use as jewelery, amulets, and powder for eye shadow. The most important deposit of Malachite is found in Shaba in Zaire near Zambia. 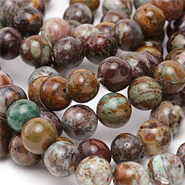 Malachite beads have quickly become some of the most popular on the market. 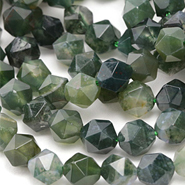 Their particular color of green is difficult to find in other natural stones. 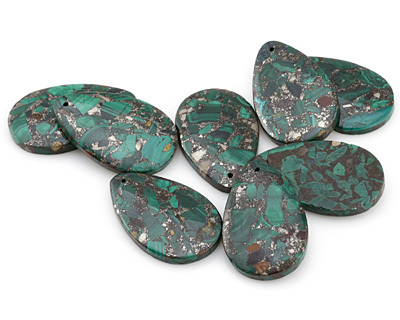 Did you know that the green color of tarnished copper is actually malachite?